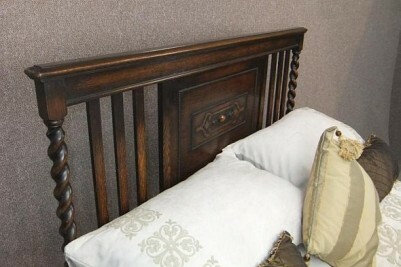 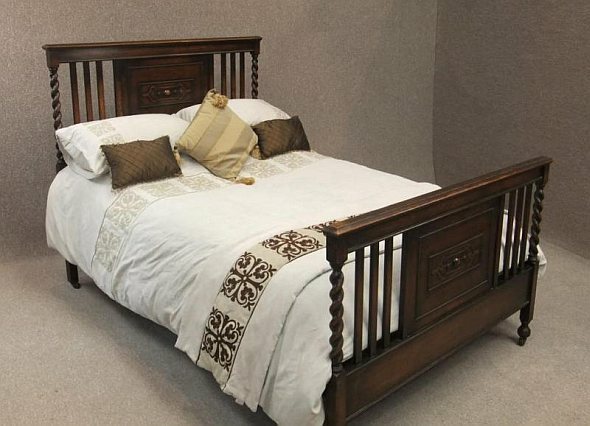 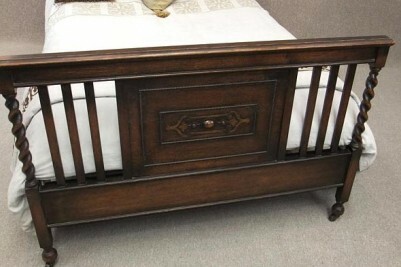 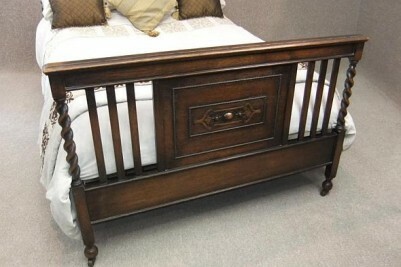 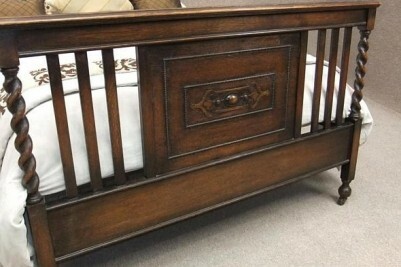 One of our elegant solid oak double beds from our extensive range of antique beds. 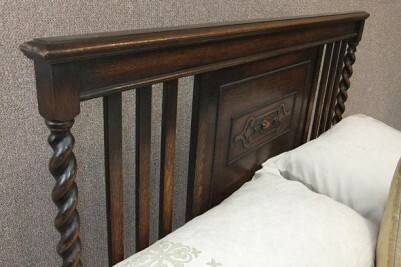 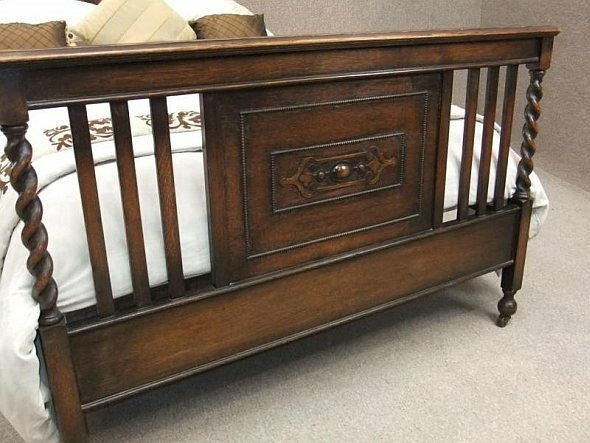 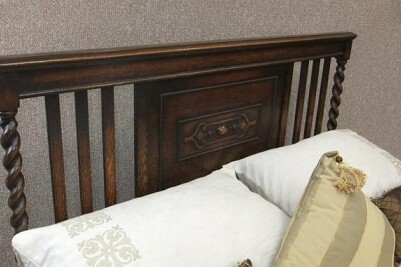 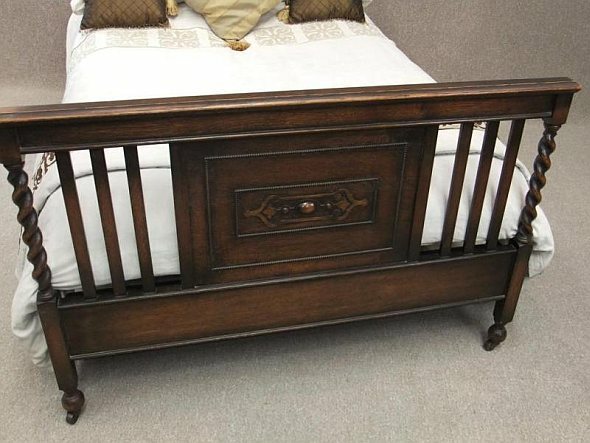 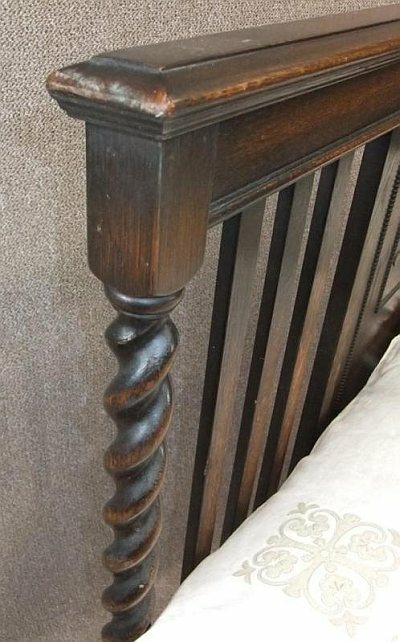 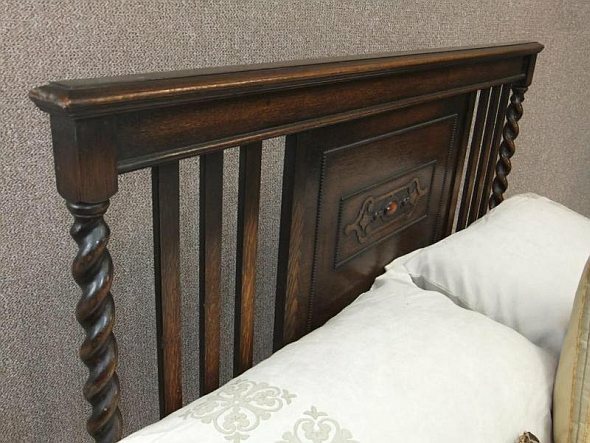 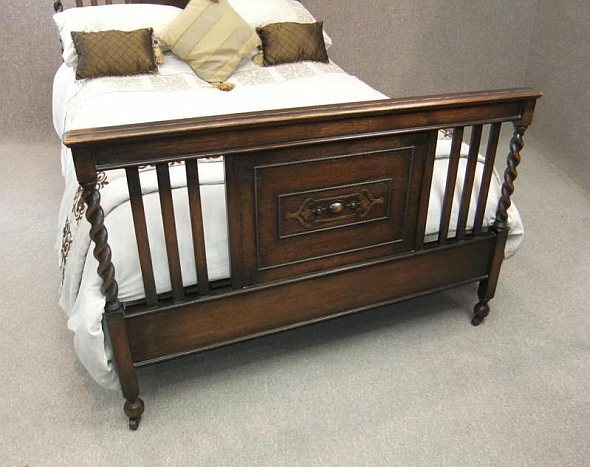 This beautiful Edwardian Jacobean revival bed features a decorative headboard with a centre carved panel, flanked by slats to either side, and large, substantially turned barley twist columns. 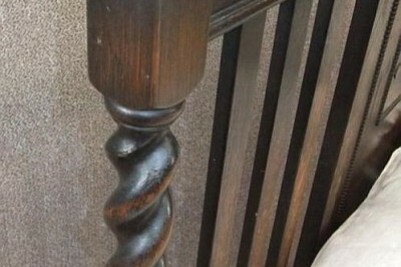 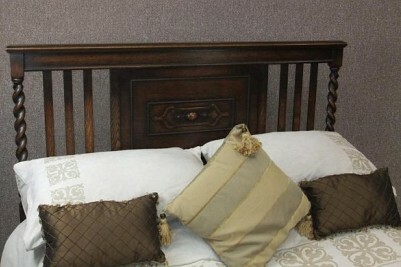 This is a mirror image of the matching footboard. 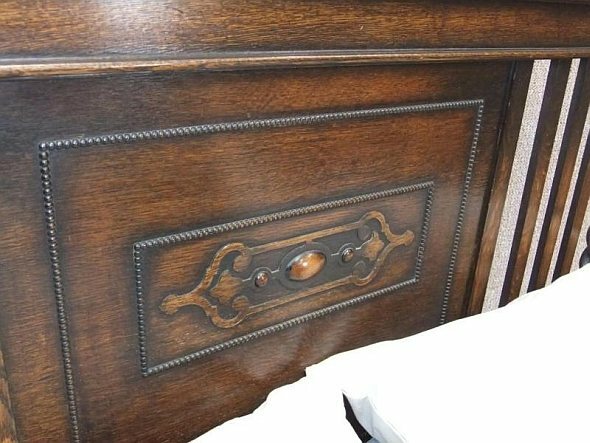 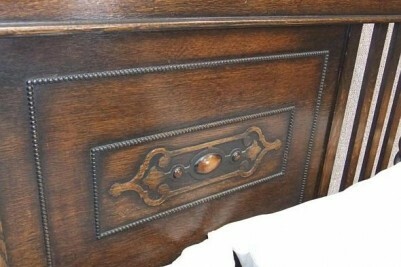 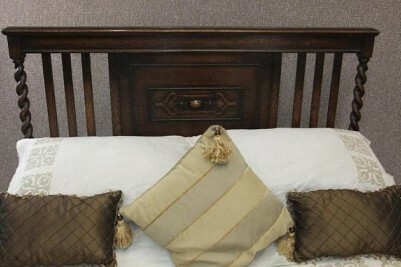 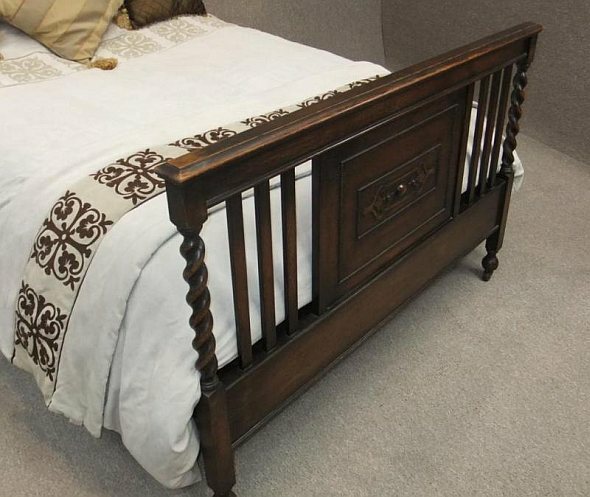 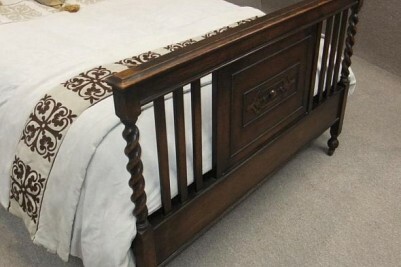 This bed is in lovely condition for its age, with just a small amount of everyday wear and tear. 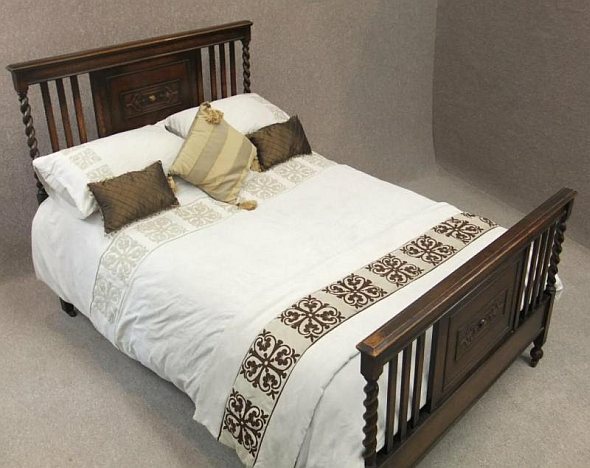 We are supplying this bed with a newly made pine bed base which can comfortably support a standard double mattress. 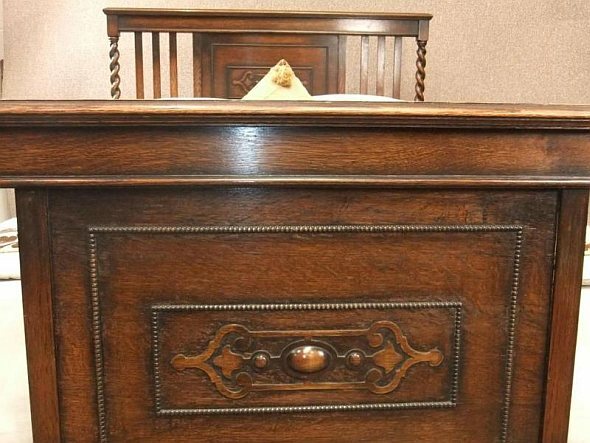 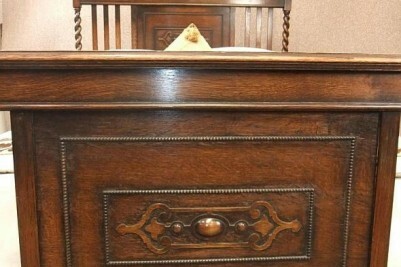 Ideal for any period property, or to complement existing bedroom furniture. 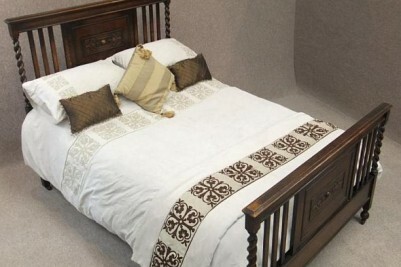 DELIVERY - £55.00 to England and Wales. 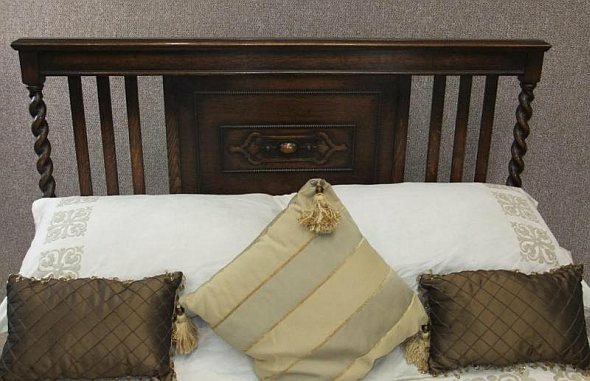 For deliveries outside of this area, please contact us for a quote.